In 1954 (Showa 29), some 3,081 people were murdered. For 1955 (Showa 30) the figure came to 3,066 murders. That comes to 1 murder per 28,640 and 29,379 inhabitants respectively. Let’s go back a little more in time. In 1933 (Taisho 8) no fewer than 2,713 murders were committed in Japan. Or 1 for every 24,855 inhabitants. In other words, even worse than the figures for 1954 and 1955. Compare that with the murder rate today. A total of 1,309 murders took place in 2006, the last year for which there is accurate data. That is about one for every 97,000 inhabitants. That is clearly far safer than the situation during the safe Taisho (1912-1926) and Showa (1926-1989) periods. Admittedly, the above three years represent peak years. But they were not that exceptional. Between the 1920s and 1970s, murder rates usually hovered around 1 per 25,000-50,000 inhabitants (pdf file with murder rates in Japan between 1924 and 2002). After that, murder rates dived. The safest period was the 1990s, but murder rates are still low, and as the table below shows, they are once again falling. When it comes to murder, we live in very safe and comfortable times, and many don’t realize it. They tremble with worry and fear. What a waste! There are things that we can justifiably worry about, though. Considering the fact that most rapes go unreported, the high number of reported rapes is sickening. Also worrisome is the large number of robberies. Although recent years have seen a decrease. According to the statistics, violence and bodily injury have increased significantly in the past ten years. But it is not clear if that is because of an actual increase of cases, because police has become stricter, or because of another reason. A murder is a murder, you just need a dead body. But what is violence? Something that in the past may not have been seen as violent behavior could perhaps now be designated as such. It is very well possible that the line has moved. However, murders are definitely not as serious a problem as the news media and the police would like us to believe. Fear has traditionally been used to control people, so this is extremely important data. Excellent and very important information. Thank you very much for that. The difference between perception and fact is extraordinary and all down to the mass media which is only concerned with sensationalism and what sells. 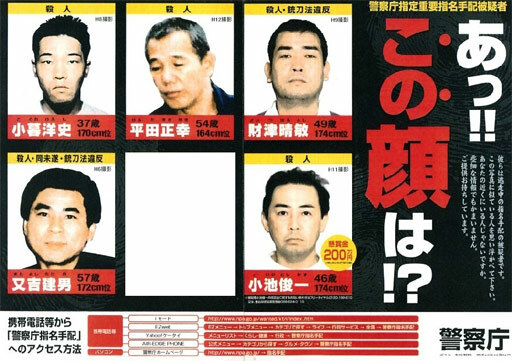 The notion that crime is on the rise is one of the keys to Japan’s inclination to keep the right-wing in power. It certainly serves the ruling class, and the facts should be more widely known. Thank you, John. It is indeed all about perception. Reality is what people think it is. The real world is not in front of our eyes, but behind it in our our brains. That is why it so important to put the right stuff in front of our eyes. I am glad that you liked this article. In 1955, Japan’s total murder rate was 3.4 per 100,000. In the US in 1955, it was 4.1. There was only a 0.7 difference between the 2. Japan’s murder and crime rates are at a historic low, yes, but don’t forget that it wasn’t always like that.